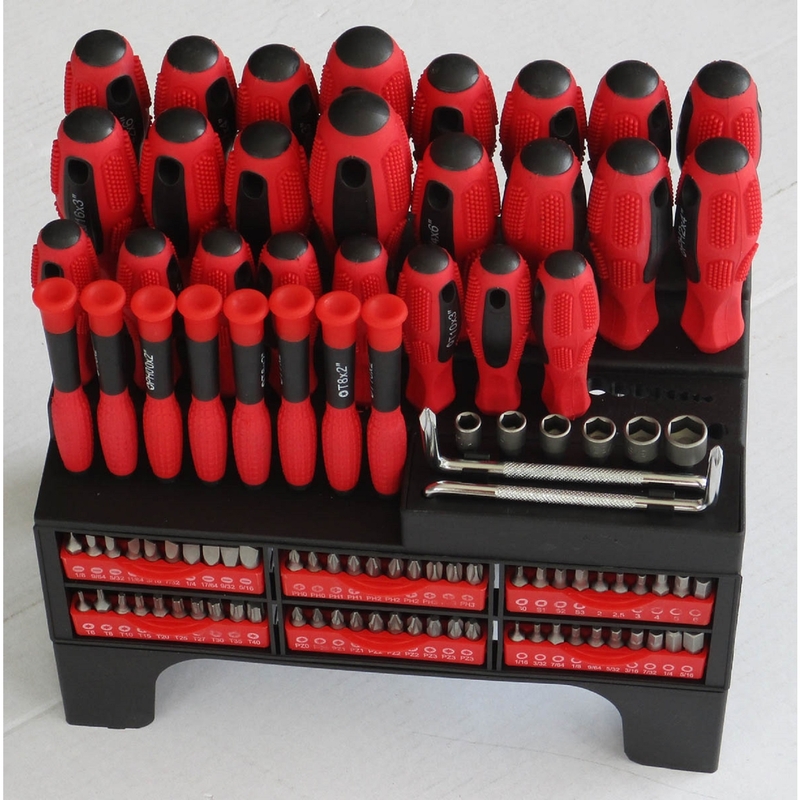 This comprehensive 100-pc screwdriver set contains almost every type of fastener bit you'll ever need, from slotted, Phillips, Torx and precision screwdrivers to Posi, square, hex and nut driver bits, plus chrome vanadium steel power bits and ratcheting bit driver. Screwdrivers feature comfortable nonslip molded grips and chrome vanadium steel blades with magnetic tips. Includes rack to keep set organized.